I want to give Mustang Blue a higher rating because it's a solidly made, no-frills, totally unpretentious fragrance that smells good. The big problem, however, is that there is nothing about Mustang Blue that stands out, and it gets a few demerits because of its total lack of originality. 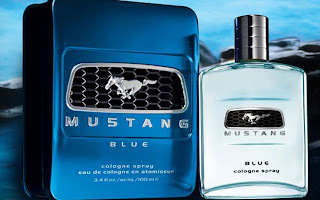 Though I do like it, Mustang Blue is a generic modern woody spicy scent, like a hundred others you've already smelled. 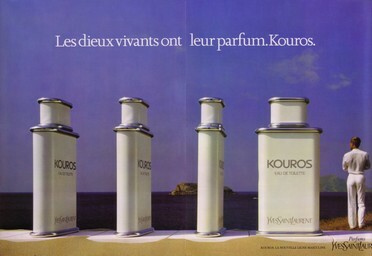 The world doesn't need anymore of these fragrances. 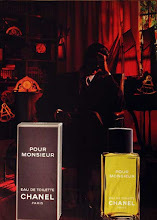 It starts off with the usual big sharp citrus blast, then spicy and woody notes in the middle, and drying down to a pleasant sharp cedarwood and musk finish. Tell me you've never smelled anything else like that before. 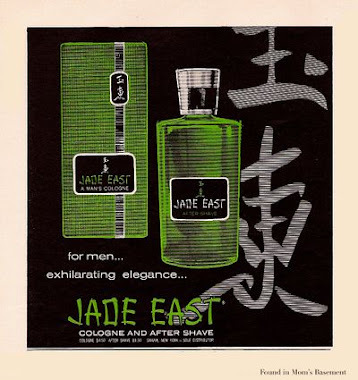 I wouldn't call it a boring fragrance, but it's not exactly exciting either. I do like the drydown, even if it is generic. Its woodiness blended with light musk gives it an enjoyably clean and aromatic smell. Again, nothing you haven't smelled before, but it does smell good and is comfortable to wear. Other good qualities are that it's pretty well balanced, it's a fairly complex scent, it has no aquatic notes, and it smells like it's made primarily of natural materials. It also has very good sillage and longevity. 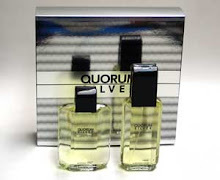 If you already own other woody spicy fragrances like Aqua Quorum, Oxygene For Men or Essenza di Zegna, you won't need to get this, unless you find it for dirt cheap. You won't necessarily regret buying Mustang Blue, but you won't be doing victory laps over it either. I am glad I didn't buy it. 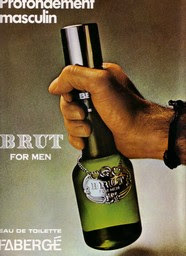 I was hoping it was a Cool Water or Drakkar like fragrance. You know, I'm almost inclined to give Mustang Blue an extra .5 point, but I won't. Two things impress me about it. One is the drydown - yes, it's a typical drydown for this sort of frag, but I really enjoyed it a lot, particularly because it was a little more spicy than most. The other thing is the tenacity of Mustang Blue. It is now a little over 14 hours since I put it on. I just woke up, after a night of tossing and turning in bed, and I can still smell this stuff on me, and it still smells good. This is truly tenacious stuff. However, I'm keeping my rating at a 6.5 because this really is quite a generic scent unfortunately. If they'd just put a little more thought into the originality department, I'd probably give this a much higher rating, since it is very well made. I just raised the rating to a 7. I did it because I enjoy wearing this. I couldn't help it.